Janoff & Khatri - Bella Group Inc. 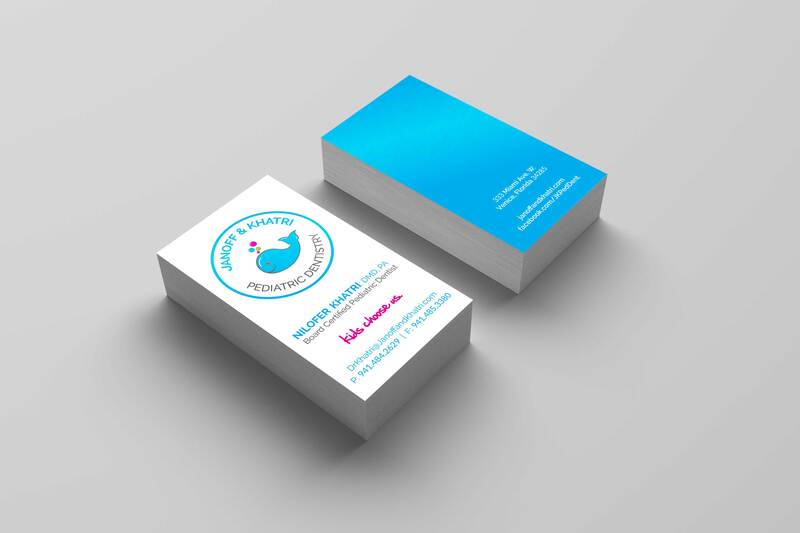 The total rebrand speaks “through” parents to the kids the practice serves. 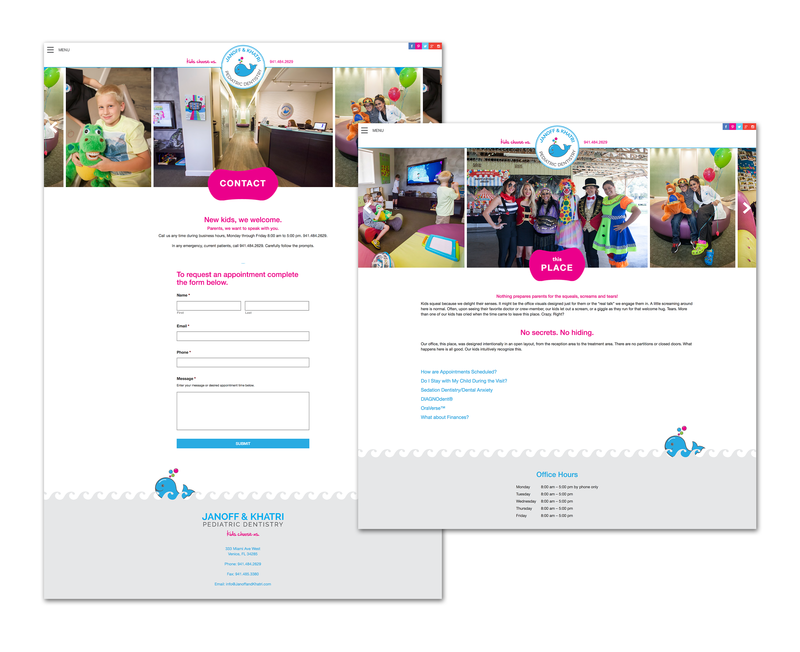 By developing design and messaging that mirrored the “Disney for Kids” ethos Dr. Khatri described in our initial meetings, Janoff & Khatri now shows itself as authentically different than any other pediatric dentist. 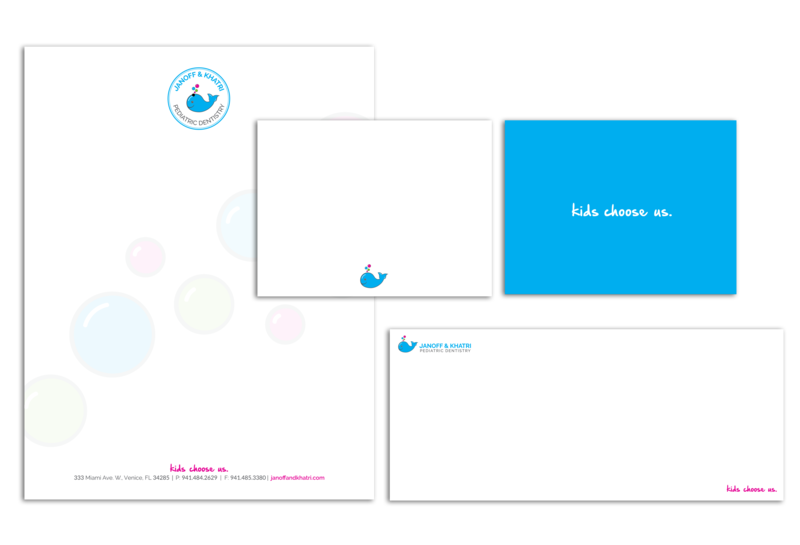 The whimsical whale logo is a fresh, perfect entry point for the brand’s fun, easy voice and visuals.